Every One loves to keep themselves updated with the latest fashion and now it's time to celebrate Eid with the colorful, glamorous and stunning outfits. Top designers have launched their collections specially dedicated to the festival of Eid, which is full of funky colors, elegant embroidery and amazing stuff. This year the most prominent fabrics will be lawn and chiffon in the latest Eid collection. In this hot summer, you can flaunt yourself on the festive of Eid 2017 with radiant, gorgeous and vibrant colors which are comfortable and quite attractive to wear. You can choose from the wide range of colors, every color has its own charm. This season you will see a lot of royal blue and cheerful green in the latest fashion collections for Eid 2017. In today's time, every one hardly have time to visit a tailor to stitch their dress and they want to stay away from the hassle of doing it. Therefore, here at Yosari, you will get a wide collection of readymade clothes from the top brands, latest collections in various colors, to choose from. How to look stunning this Eid 2017 with the latest designs? Many Muslims celebrate the festival of Eid by dressing their best on the occasion. As the time for the festive is coming close, every woman might have started to look for the attire which she is going to wear on Eid. Various brands have already launched their chic and elegant Pakistani dress collections which are quite attractive and as per the latest fashion. Embroideries along with the vibrant colors add more style to the attire. Search from the wide collection of best designer dresses for Eid, this summer. Since it's a festive occasion, don't miss the variety of clothes specially designed for the occasion at Yosari. Whether you want something to wear for a formal family dinner on Eid or looking for something stunning to wear on the day, you will get everything in the Yosari Eid collection 2017. 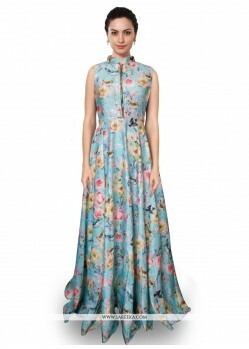 You can browse amongst the simple silk dresses, heavily embellished suits, embroidery dresses and many other dresses. If you love to wear stylish clothes and looking for branded Pakistani clothes then you are at the right place. These brands are famous internationally, and everyone adores their designs. Here are some of the popular brands of Pakistan which have launched their best Eid collection, which you will definitely love and can easily buy at Yosari. There are different types of clothes offered in the 2017 Eid Collection such as Eid Salwar Kameez, Eid Anarkali Suits, Eid Lehengas, Eid Sarees, and many more from which one can select as per their choice to look stunning as well as traditional. It is both comfortable and traditional, which every woman love to wear. The set consists of a Salwar, Long tunic or Kameez and Dupatta. It is the best attire to look elegant and beautiful on the occasion of Eid. 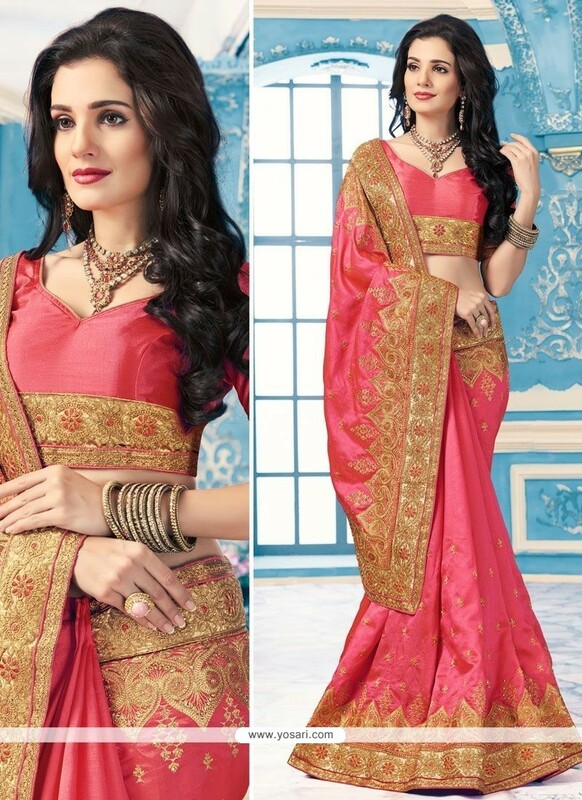 They are made of quality fabrics like chiffon, velvet, net, silk, lawn, georgette, etc. Designers use stones, lashes, embroidery and stones to make the attire more beautiful. Salwar Kameez can be of different sorts like Churidar Salwar Suits, Palazzo Salwar Suits, Anarkali Suits, Pakistani Suits, Straight Salwar Suits etc. Eid Anarkali Suit is extremely famous in today's fashion world and is adored by every woman. Anarkali Suit is well known from the Mughal Period where a courtesan named Anarkali use to wear this kind of Suit and looks amazing in it. Nowadays it's a great choice to wear on festivals as well as other functions. The suit is a blend of a long gown style Suit, Churidar pyjama along with a Dupatta which makes this dress traditional. People in various countries love to wear this outfit. You can easily get buy it at Yosari irrespective of where you are residing. It's traditional, fashionable and comfortable to wear. 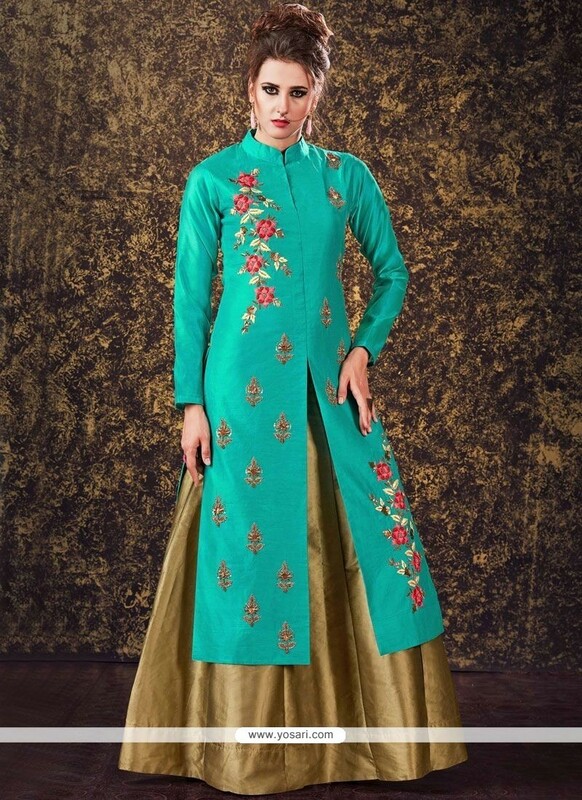 Eid Lehengas are one of a kind and are decorated with most dazzling of embroidery and embellishment work, also available in amazing and pleasant printed floral, foliage motifs. 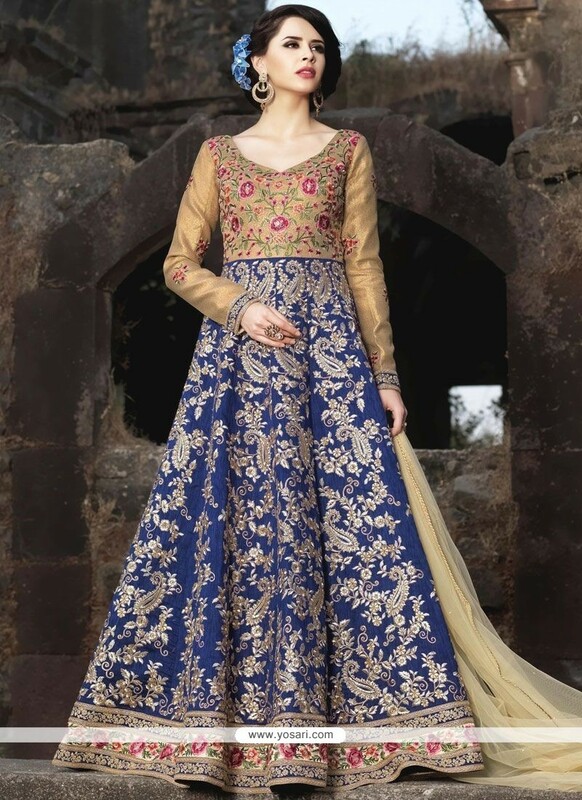 However, this Eid, if you are looking something different, then buy the latest and trendiest styles of lehenga which has a more contemporary pattern like the one having a long Choli or an A-line lehengas. But if you want to be the center of attraction, then you might need to stretch the limits and buy yourself some striking Umbrella style lehengas or go for Anarkali lehengas that will definitely give you the style to remember forever on this Eid 2017. Many people won't consider buying a saree on the occasion of Eid, but there are people who love wearing saree on Eid because they know how stunning they look in it. It's also a traditional as well as trendier attire to wear on Eid, this summer. Eid saree styles feature a lot of embroidery and embellishments which are quite popular along with half saree and lehenga-saree patterns. Just like women, men also wants to wear their best attire on the occasion of Eid, they like to wear something more traditional and fashionable. You can easily browse the vast collection of men sherwani and kurta pyjama in various designs, colors and patterns at Yosari. Kids these days also love to wear different and more attractive clothes at the time of an occasion. Eid is one such time, when you can buy gown, salwar suit, lehenga and other indo-western dresses for your daughter and can also buy sherwani, kurta pyjama for your son. There is a separate section for kids-wear where you can find variety of patterns, designs in vibrant colors for your kids. This Eid make it memorable for everyone by buying the best outfit for each and every one in your family at Yosari. Apart from all these designer clothes, you can browse other Eid collections and choose the one which suits you the best at Yosari. Yosari's collection consists of a wide range of designer clothes inspired by the famous designers. Even for those who are buying Eid dresses in other countries and looking for traditional dresses, then the best destination for them to buy the most ethnic yet fashionable dresses from Yosari. Yosari guarantees you the best product quality and offers various lucrative deals and offers on the purchase.